We had a short work week this week, and we didn’t finish Pin Oak Cottage like we hoped. It has turned frigid in East Texas — it started sleeting and snowing today and (don’t laugh my northerner friends), but Texans do not know how to drive on icy roads. Plus, who wants to work outside in such conditions? Not me, that’s for sure. The good news is that we have only about 2-3 days of cleanup work left to do, then we’ll get started on the second house. All I know is: I’m feeling grateful for a 3-day weekend. Hope you enjoy my picks for this week’s Friday Favorites. I always love reading your comments! This old hotel no longer exists unfortunately, but I loved this drawing. It’s so well done, I thought at first it was a photograph. I adore these winter landscape illustrations sketched by the talented Martin Beek. You can see more of his landscape work here. Check out the amazing artwork of Kumi Yamashita created using just 3 items: a wooden panel painted solid white, galvanized nails, and a single, unbroken piece of common sewing thread. I admit that I do not like words like “wash” displayed above a tub — does one really need to be reminded? 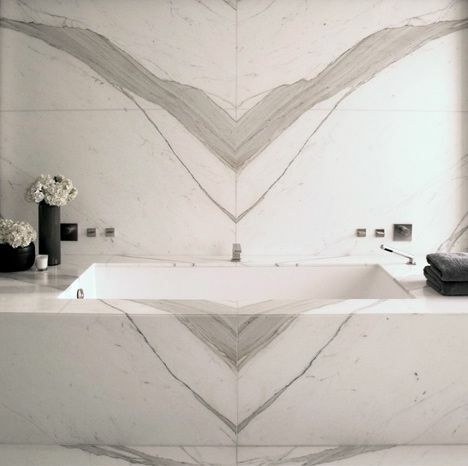 — but I do love how the striations in the marble subtly mimic falling water. I love to dance — it’s guaranteed to put a smile on my face — and this old dancing sign accomplished the same thing. I’ve shared a photo of a pet swan before, but I cannot resist sharing this heartwarming image of Anna Pavlova and her pet swan Jack. The fact that they appear to be embracing makes the photo even more precious. 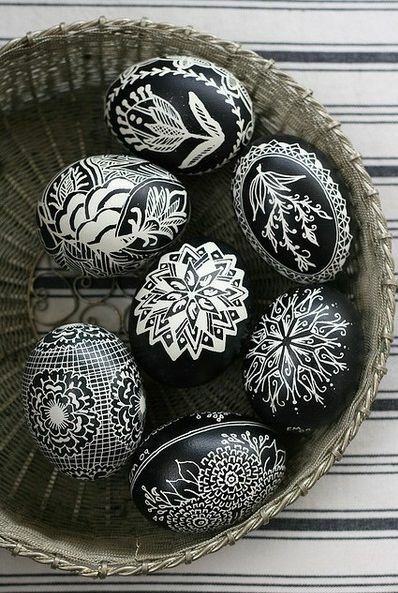 These decorated eggs are just exquisite. I wish my grandmother who loved Easter and put up an Easter tree every year was still alive to see them. I am loving these newspaper boxes! I am definitely wanting to recreate this idea for our home office. Good point! I have no idea either. The honor system? What a fun collection of favorites you’ve found for us this week, Kim! The eerie drawing of the old home looks a bit like a paranormal movie ad to me. I took a class in Ukranian egg decorating (there’s another name for it, but I forget), but unfortunately my eggs deteriorated over the years and I don’t have them anymore. I love the dance hall sign! I read your comment and trotted over to look at the old house drawing. I can see why you thought it looked eerie. So many old (and abandoned) structures look eerie to me also. I don’t think I’d have the patience to decorate eggs, plus I can’t draw worth a hoot. Wish I could! I’m so envious of those who have artistic abilities. I’d love to own that old dance hall sign. My ceilings are so tall, it would look great in all sorts of places. I can dream . . . .
Love your Friday favorites especially the swan and the boxes. It’s been super cold here in NC as well, but thankfully no ice. I completely understand about the driving…. we true southerners do not know what to do with ice and snow! Stay warm and safe, Kim! I saw that swan photo and thought, “I wish I had a swan to hug”. We had snow on the ground when we woke up this morning. We are definitely staying put until it melts! Cooking chili is on the ‘to do’ list today as well. Hope you enjoy the winter AND stay warm and safe, Wendy. Kim, let me tell you something – NOBODY knows how to drive on ice. It is not possible without special equipment. Second: I’ve lived in Arkansas, Oklahoma, Missouri, Kansas, and Michigan, and every town I’ve lived in thinks that those south of them can’t drive in the snow. I know that the farther north you go the more equipment that the community has to make it safer and easier to drive in the snow. The first winter I lived in Michigan I was astounded that these people who had always talked so bravely about how southerners (anybody south of them) couldn’t drive in the snow, were shutting down highways because a couple of inches of snow had caused major accidents all over town. All that to say, don’t feel bad because you can’t drive on ice. Love love love that wall of newspaper boxes! Interesting. Very, very interesting. All I know is what I’ve seen on CNN (because I’ve never lived anywhere but Texas), and when I see the people driving and interviewed “up north”, it seems that everyone is still expected to report to work or school even in blizzard like conditions. That would never happen in Texas! Schools and businesses shut down when there is any precipitation and freezing temps. Just enjoyed your home tour at Eclectically Vintage…just gorgeous! I’m in the DFW area. Thanks so much and letting me know what you thought about my home! It means the world to me. I’ll definitely be checking out your blog ASAP! Hi! I saw your home on Eclectically Vintage. I love it and love it more that you’re a fellow Texan! I live in Red Oak which is South of Dallas. I live in a 1910 home that we’re restoring. You truly have a dream business. Can I work for you? Ha! Oh my gosh! Thanks for commenting. I love knowing other Texas bloggers . . . and to answer your question, we’re always looking for good help! LOL. Definitely heading over to check out your blog. Thanks, Shelley! Thank you! I will definitely be keeping up with your blog! Thank you! I’m liking what I see on yours. Intending to dive in thoroughly as soon as I can! I had to see your website after seeing your house tour on Eclectically Vintage. Your house is stunning! I live in MA and when there is ice on the roads, everyone should stay home. Thank you so much for letting me know that you like my home. I totally agree that we should just hibernate when the weather turns ugly. Thanks for stopping by! Love all your Friday Favorites especially the dancing sign.